Wonderful dinner made by DH. 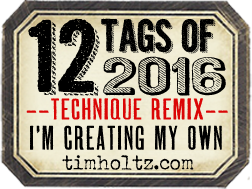 Create with TLC, that you can find here. properly. The dots are sticky gemstones. and was printed on copy paper. I also made this Christmas coffee card. 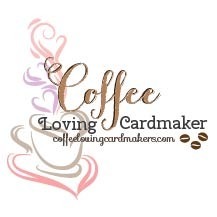 The coffee cups are by Stampin'Up! and the sentiment is by JavaJoanne. that was made by Kerry. paper blocks that is in my stash. parts out and making up these cups. The Hanukkah card turned out gorgeously~! Fabulous cards, love the pearls on the chanukkiah. 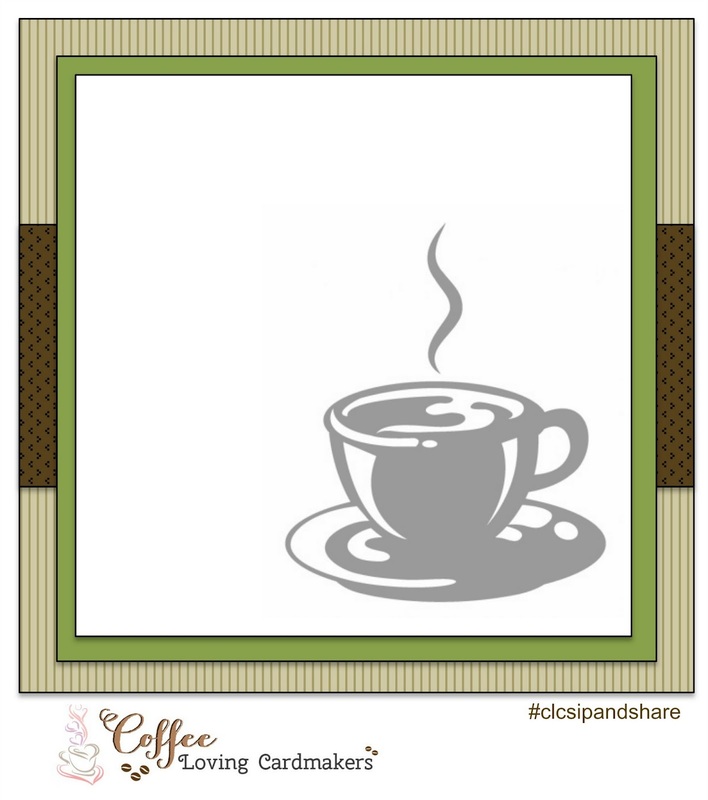 Great coffee card too. 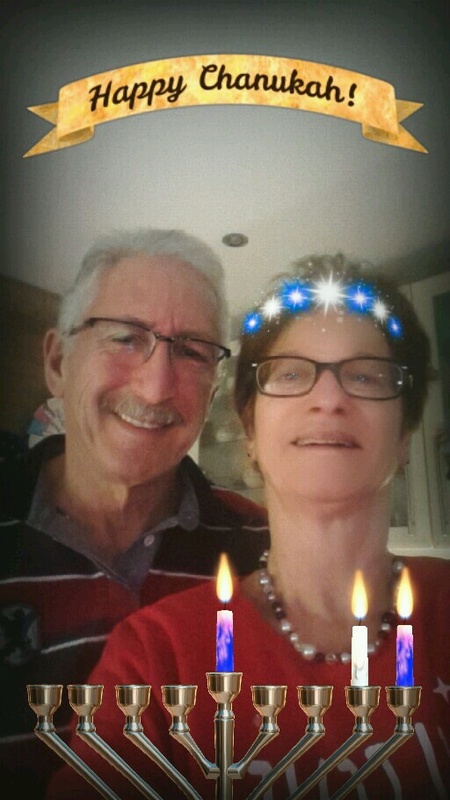 Oh what a fun photo of you and Raymond with snapchat! You are so lucky that Raymond cooks for you!!! 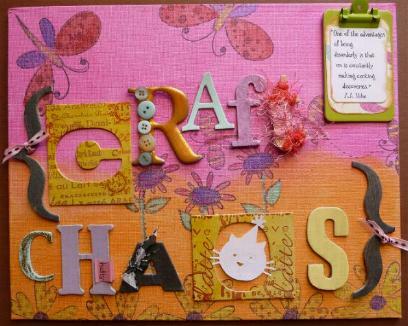 Love the Haunkkah card you made-thanks for the links to the digi images, too! 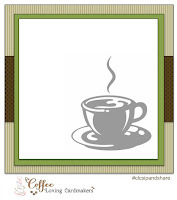 Your coffee cup-Java card is so sweet too! Thanks for the fun!